The Voile Telepack avalanche shovel is a full size avalanche rescue shovel with a compact T handle that fits easily into your pack. Move mountains of snow fast, with the full size scoop and telescoping T-handle. Separate handle and scoop to fit into your pack. 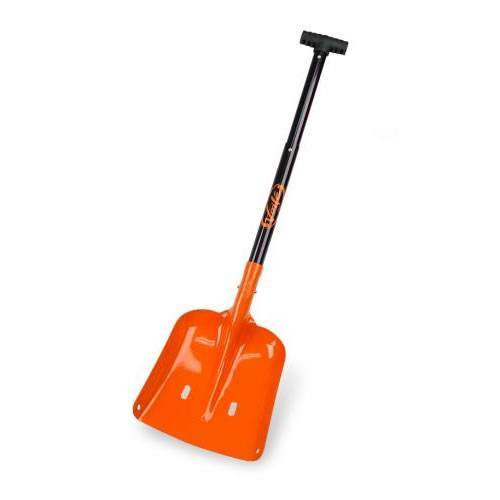 Voile T6 avalanche shovel is the Professional's Choice. T6 is the level of hardness reached in the aluminum heat-treating process for the Voile T6 model avalanche shovel scoop. Avalanche professionals, guides, patrollers, and rescue teams require this level durablity in their avalanche rescue shovel. 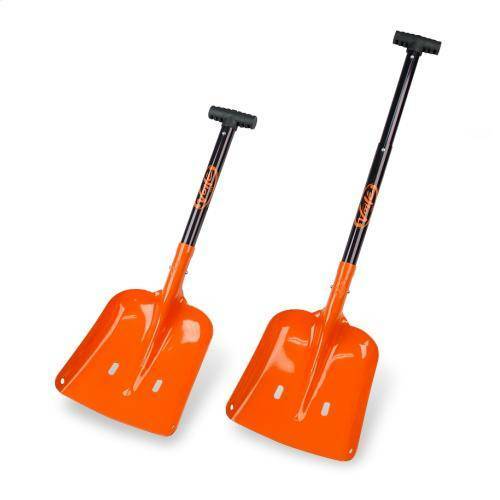 All Voile T6 avalanche shovel scoops have deadman holes in the scoop to be used for snow anchors or for making a rescue sled. Scoop Only: 15 x 10 in.